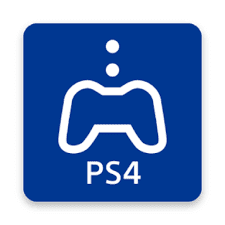 Download PS4 Remote Play APK free for android to stream your PS4 directly on your android smart phone. With PS4 Remote Play App play your Favorite PS4 Games on your Sony Xperia Smart phone or Tablet. With PS4 Remote Play App you can Direct Stream to your Sony Xperia Smart Phone or Table. All you need to do is Connect your Xperia smart phone or tablet to your home Wi-Fi network, and get DUALSHOCK®4 wireless controller and play your PS4 Games on your Sony Xperia even you are away from your TV Screen. If you are Sony PlayStation User and want to play same games on your Smart Phone Too then you are in right place download the Latest Version of PS4 Remote Play APK from the given link below and enjoy playing your Favourite PS4 games on your Sony Xperia Smart Phone or Tablet. 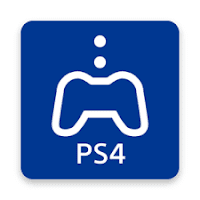 But Before Rush to Download Make Sure you are Android Version is 4.4 or Up as this app is supported only Xperia Devices with Android 4.4 and up you will also need Sony PlayStation 4 System, DUALSHOCK4 Wireless Controller and Sony Network Account with High Speed Internet Facility. Always keep in mind Use only you’re Home Wi-Fi Network. Public Area Wi-Fi networks are not recommended to use. The Latest and Most Recent Version of PS4 Remote Play APK is Version 2.5.0 which is latest Update from PlayStation Mobile Inc. The Recent Version supports many new International Languages including Czech, Indonesian, Hungarian, Romanian, Vietnamese, Greek and Thai, also the recent version has some stability improvements too. You can download latest version of PS4 Remote Play from our Site all the Download Links of Latest Version are Given Below in Download Section. You can play your Favourite Play Station Games Directly on your Sony Xperia Smart Phone or Tablet. You can Play Games even if you are far from your TV. This App is Multi-Lingual Which Means you can use this application in your Native Language. You can Stream Direct your PS4 To Sony Xperia Phone or Tablet with this App. Developed By: PlayStation Mobile Inc.